Celebrating World Science Festival Brisbane’s most popular activity THE HATCHERY, this education program reinforces Queensland Museum’s commitment to support and foster STEM-literacy. 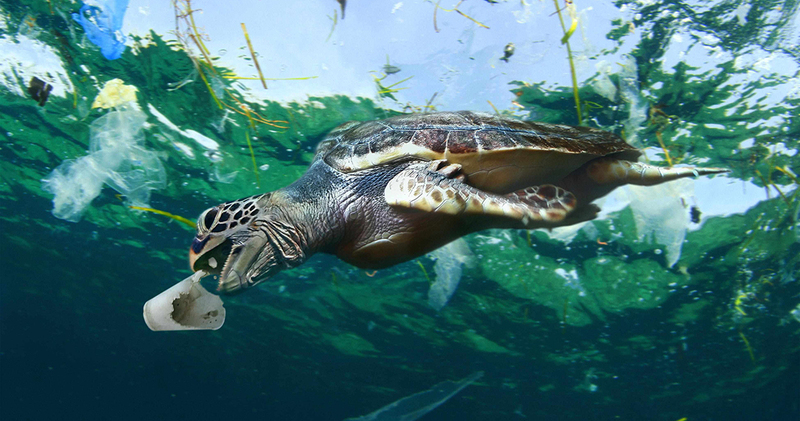 This exciting project invites students to learn more about loggerhead turtles and the impact of ocean pollution threatening the future of these marine favorites. Guided by Queensland Museum’s turtle expert Patrick Couper, students will learn about the impact of plastic pollution on turtles and other marine creatures. In the lead up to World Science Festival Brisbane 2019, and in conjunction with the festival team, schools are invited to produce a piece of artwork using recycled plastic materials to reflect their learnings about plastic pollution and the impact on our precious marine life. The winning school will have a special opportunity to name one of our turtle hatchlings, as well as first priority entrance to THE HATCHERY during World Science Festival Brisbane in March 2019. The finalist artworks will be showcased during the World Science Festival Brisbane in March 2019 at a Queensland Museum Network campus (closest to the entries) – Queensland Museum in Brisbane, The Workshops Rail Museum in Ipswich, Cobb+Co Museum in Toowoomba, to raise public awareness about the plight of marine turtles. To register your school’s participation, fill out the online form or email [email protected]. (Please see the Terms and Conditions of Entry below). Teacher Handbook and curriculum links available here. Instructions on how to enter form part of the conditions of entry. Entry shall be deemed acceptance of these conditions of entry. World Science Festival Brisbane is a public event presented by the Queensland Museum. The competition Promoter is Queensland Museum, Corner Grey and Melbourne Streets, South Brisbane Qld 4101. ABN: 91 522 611 802. Entry is open to Queensland students and their associated schools registered or enrolled in Year 4, Year 5 or Year 6 and Year 7 in 2018. For home-schoolers, entry is open to children aged between 9 – 13 year olds. Applications are open from 12am Thursday, 16 August 2018 to 11:59pm until Friday, 7 December 2018. Late entries will not be accepted. Contact details (phone number and email address) of the responsible teacher. If photographs include students, it is assumed that teachers have obtained the necessary parental/guardian consent. The Promoter, their agents, affiliates or representatives will not be liable for any late, lost or misdirected entries due to technical disruptions, network congestion or for any other reason. Entries must be made on a class, or group basis. Eligible classes may submit more than one entry. The Entrant retains copyright of their work. The Promoter is granted non-exclusive license to reproduce, wholly or in part, Entrant’s original submitted work in all marketing, promotional and educational activities associated with Queensland Museum and/or World Science Festival Brisbane. The Entrant will not be entitled to any fee for such use. The Entrant grants the Promoter the right to use the information accompanying the entry for use in marketing, promotional and educational activities in connection with Queensland Museum and/or World Science Festival Brisbane. Each Entrant warrants to the Promoter that all submitted content is entirely the original artistic work of the Entrant and does not infringe the rights of any third party. Errors and omissions in entries may be accepted at the Promoter’s discretion. The Promoter’s decision is final and no correspondence will be entered into. Entry is deemed agreement to participate in competition prize activities during World Science Festival Brisbane 2019. The Promoter will ensure that the competition prize activities take place during school hours. This is a game of skill. Chance plays no part in determining the winners. Each eligible entry will be individually judged based on the originality and creative merit of the artwork created in response to the challenge of creating a piece of artwork that raises awareness about the problem of plastic pollution in waterways using collected pieces of plastic. There will be one winner and up to 20 finalists. The judges’ decision is final and no correspondence will be entered into. Any public or social media attacks by Entrants, the responsible teacher, the associated school or parents/guardians of the contributing students on other Entrants, judges or the judging process will be taken into consideration by the Promoters. Any situations, materials, discussions or postings that are deemed to be offensive or against the nature of the competition will result in a disqualification of the Entrant. Finalists will be notified by email or telephone in early February 2019. The Finalists will be responsible for ensuring the artwork is received by Queensland Museum on or before Friday, 8 February, to allow the artwork to be exhibited publicly during World Science Festival Brisbane 2019. Queensland Museum will return the artwork to the Finalists by Australia Post at the conclusion of World Science Festival Brisbane 2019 or the public exhibition, whichever concludes later. The Finalists artworks will be showcased during the World Science Festival Brisbane Festival in March 2019. The winner will receive exclusive access to THE HATCHERY: Turtle Conservation Experience during World Science Festival Brisbane 2019. The school will be responsible for necessary travel, meals and accommodation required to attend this experience. Competition prizes are non-transferable and not exchangeable for cash. If the prize or any part of the prize becomes unavailable for reasons beyond the Promoter’s control, the Promoter will endeavour but is not obliged to provide a substitute prize of equivalent value. The Promoter and any contractors, employees and agents, will not be liable for claims, losses, damages, injuries, costs and expenses suffered, sustained or incurred (including but not limited to indirect/inconsequential loss) as a result of, arising out of, or in any way connected with the competition and/or its prize, except for liability that cannot be excluded by law. When participating in this competition, the Entrant must not be involved in any conduct or activity that might damage the reputation of the Promoter or World Science Festival Brisbane. The Promoter may remove or decline to publish any content associated with World Science Festival Brisbane HATCHERY CRUSADERS program without notice and for any reason. The Promoter reserves the right to verify the validity of entries and to disqualify any entry which, in the opinion of Promoter, includes objectionable content, profanity, potentially insulting, inflammatory or defamatory statements, disqualify any Entrant who tampers with the entry process, who submits an entry that is not in accordance with these terms and conditions of entry or who has, in the opinion of Promoter, engaged in conduct in entering the competition which is fraudulent, misleading, deceptive or generally damaging to the goodwill or reputation of the competition, the Promoter or World Science Festival Brisbane. The Promoter is not responsible for any loss, damage, cost or expense, whether direct or consequential, that arises from participation in this competition. This includes but is not limited to the costs of production of the entry and any Internet service provider costs incurred through the online submission of competition entries. All activity associated with World Science Festival Brisbane HATCHERY CRUSADERS program must comply with State and Federal laws and regulations, including but not limited to the Environmental Protection Act, 1994. The Promoter reserves the right to amend these Terms and Conditions if this competition cannot be run as originally planned. The Promoter may also cancel or suspend this competition if an event beyond the control of the Promoter corrupts or affects the administration security, fairness, integrity or proper conduct of this competition. The Promoter will disqualify any individual who has tampered with the entry process or any other aspect of this competition.